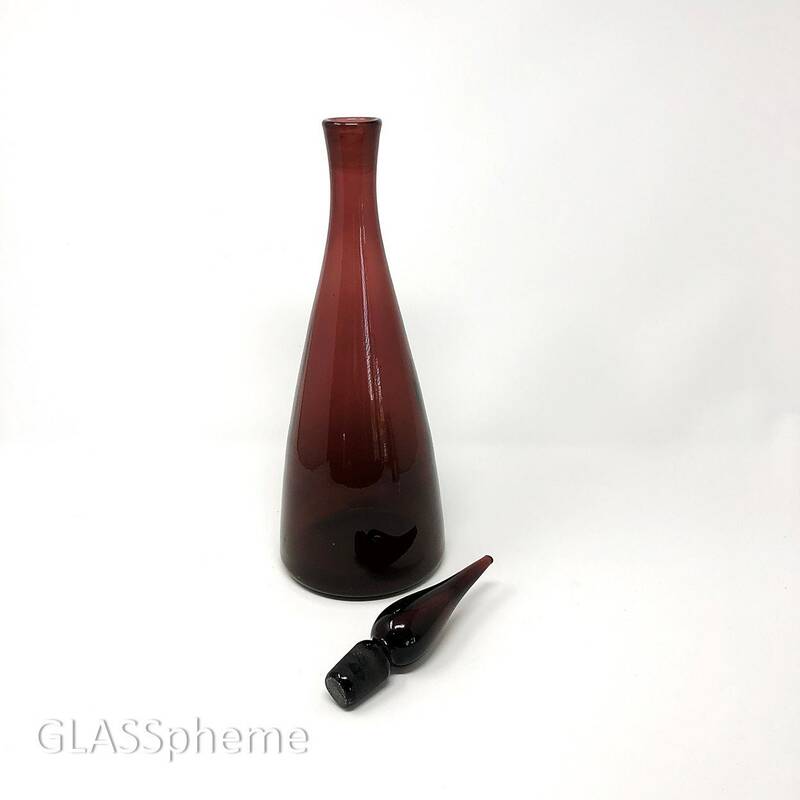 BLENKO produced it's celebrated #920 decanter, designed by Winslow Anderson around 1949, for at least 15 years, during most of which, Blenko also produced Amethyst. 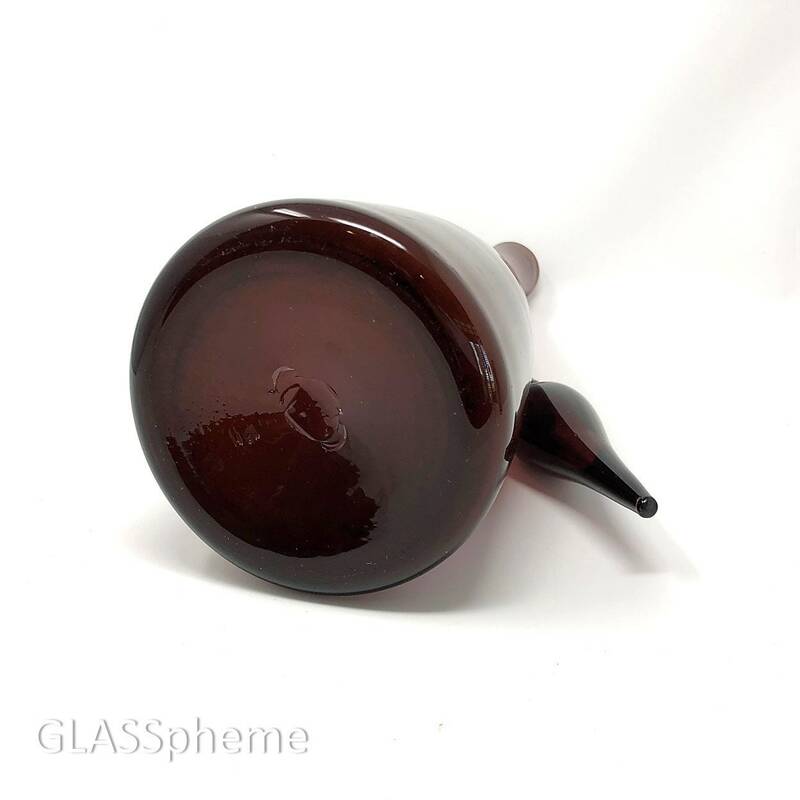 What distinguishes ours is the extraordinary depth of this amethyst--this is the deepest, darkest amethyst Blenko shade I've come across, and it is SPECTACULAR. So deep and dark that one might think the color was plum. 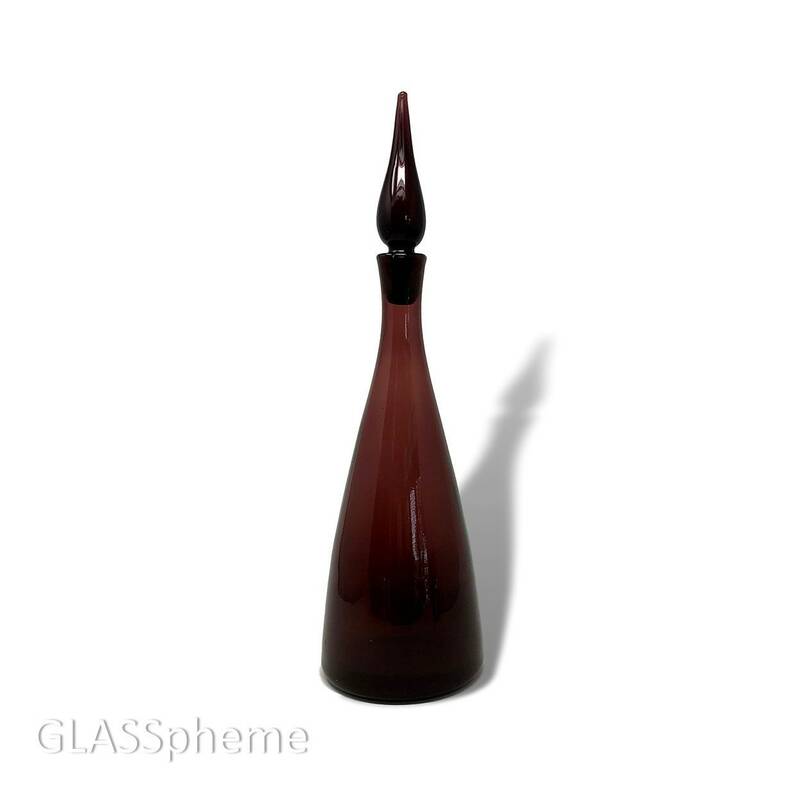 This color is so intense that even what seem to be heavy wine stains in the decanter's interior base are nearly impossible to detect--even in strong light.